Simply tasteful... this phrase perfectly captures the look and feel that Mocha Shaker cabinets bring to your kitchen decor. The fluid dark gorgeous facade accentuated by the timeless symmetrical lines make this choice of cabinetry from RTA Cabinet Hub. The clean lines of classic Shaker style and full-overlay door design makes the rich finish that generously bathes the kitchen cabinets fabulously stand out. 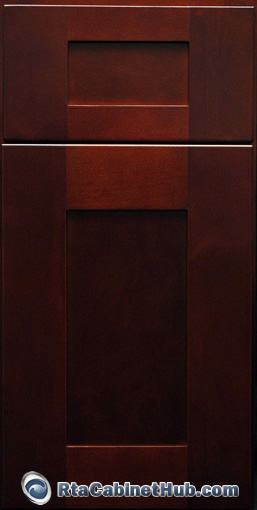 The exquisite darkness of Mocha Shaker cabinets makes up for a welcoming and sophisticated effect to kitchens. This cabinetry line will look amazing in whatever setting and will beautifully complement the heart of your home whether it is styled in traditional, casual, country or even contemporary. 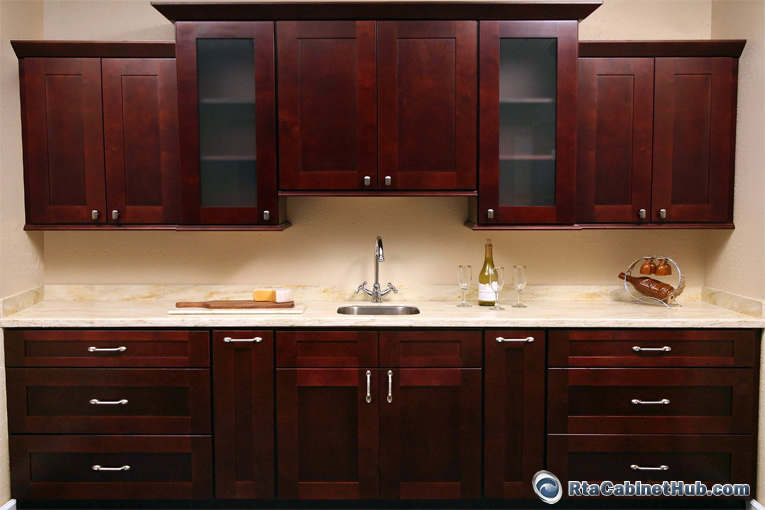 So to make your everyday kitchen experience as well as special occasions extraordinary, choose Mocha Shaker cabinets. 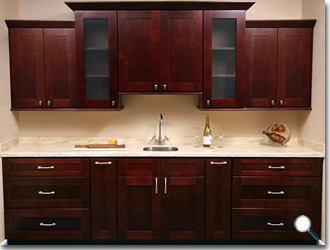 Made from the choicest maple, Mocha Shaker cabinets brandish that unique display of fine grains that is smooth to touch. Aside from inherent beauty, this choice will also prove to be a durable one that will allow your luxurious cabinetry collection to grace your home for many functional years. In all wood construction, replacing them soon will never be among your worries. These cabinets offer the blend of fine appeal and natural strength to withstand the challenges common in busy and multi-functional kitchens. But even with this superb offer of heightened quality, RTA Cabinet Hub offers this with the rest of their premium line of cabinetry at very affordable prices. 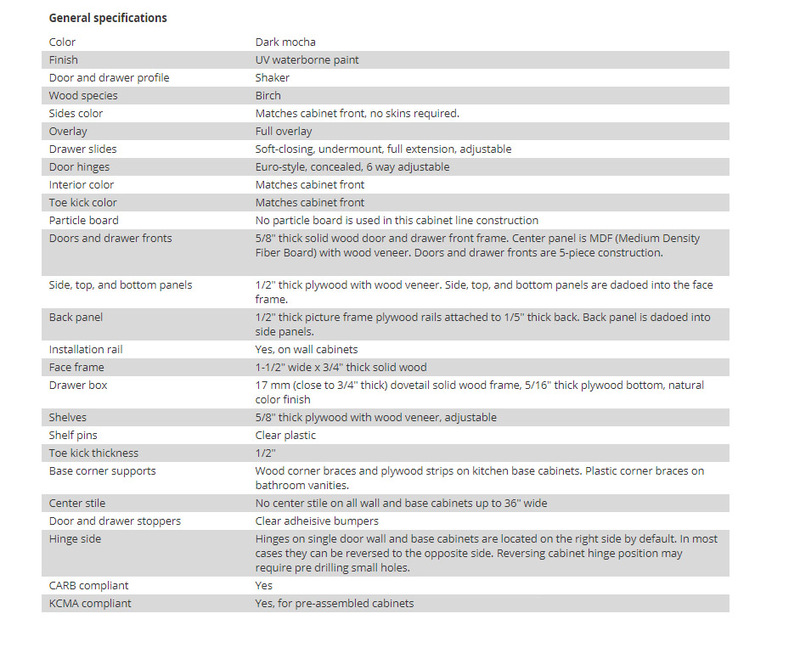 Indeed, no cabinet supplier can offer better value for your remodeling project. Mocha Shaker product is identical or similar to Cognac Shaker, Cherrystone Bronze and Concord Shaker cabinet lines offered by other stores.